In the world of mid-size pickup trucks, it is hard to think of two more quintessential examples than the Chevy Colorado and the Toyota Tacoma. These are two of the most popular trucks on the road, with years of precedent for both of them, spawning hundreds of thousands of loyal drivers throughout the US. Looking at the 2019 Chevy Colorado vs 2019 Toyota Tacoma, however, shows that there are some marked advantages when it comes to the Colorado, which will come as no surprise to a lot of our Chevy customers. When it comes to muscle, both trucks are quite impressive and offer the kind of performance you would expect from a mid-size truck. However, the Chevy Colorado wins out with an engine option that offers more horsepower than is available with the Tacoma, and another option with greater torque than you can find with Toyota’s offering. Both engines available in the Tacoma are good, but they are just outclassed by what’s available with the 2019 Chevy Colorado. In terms of fuel economy, both trucks give you the advantages you would hope for in a mid-size truck, which means you get better gas mileage than with a lot of larger trucks. Once again, however, the Chevy Colorado comes out on top and offers superior fuel efficiency, especially with the available turbo-diesel engine. The 2019 Chevy Colorado also has an unbeatable selection of interior features and options for comfort, luxury, and technology. Not to mention a huge suite of safety features, which make it one of the most secure vehicles on the road. A good pickup truck needs to be able to get the job done. While a mid-size pickup is not going to be able to perform like a heavy-duty model, you should still expect to see solid power and performance from these vehicles. While both the 2019 Chevy Colorado and the Toyota Tacoma are very good, there is a clear winner between them when it comes to overall power and performance. To get a sense of what both of these trucks can do, we should look at the engines they have standard and available. There are three different engines available for the 2019 Chevy Colorado, depending on the trim level and other configuration options you are interested in. The baseline engine is a 2.5L 4-cylinder that provides up to 200hp and 191 lb.-ft. of torque for pretty good starting performance. For our customers interested in more horsepower, we suggest the available 3.6L V6 engine, which offers up to 308hp and 275 lb.-ft. of torque – that is amazing horsepower for a mid-size pickup. Finally, there is an available 2.8L Duramax Turbo-Diesel 4-cylinder engine that provides up to 181hp and an astonishing 369 lb.-ft. of torque, which is perfect for people who want to focus on towing. The 2019 Toyota Tacoma has two different engines available, depending on the trim level you go with, and while they are both good, they also lack some of the “oomph” you are probably looking for. There is a 2.7L 4-cylinder engine that provides up to 159hp and 180 lb.-ft. of torque, which you can see is not as powerful as the starting Colorado engine. Then there is an available 3.5L V6 engine that offers up to 278hp and 265 lb.-ft. of torque. This is a solid overall option, but it certainly falls short of what the Chevy Colorado can do, especially if you want torque. Although a mid-size pickup truck like the 2019 Chevy Colorado is not going to have the towing capacity of a heavy-duty model, you still expect it to be able to get the work of a truck done. After all, when you pick a truck, it’s usually because you want things like solid towing capacity and a good payload maximum in the bed. Although both the Colorado and Tacoma can get a lot of work done, there is still a clear winner for maximum capacities. The 2019 Chevy Colorado has a maximum towing capacity of up to 7,700 lbs. when properly equipped. That includes any trailer or camper that is being pulled, as well as the cargo loaded up in it, which is great trailering potential for a mid-size truck. It also has a maximum payload of up to 1,574 lbs. depending on exactly how it is configured. So you can load a lot up into the back of the truck or haul it behind you. On the other hand, the 2019 Toyota Tacoma has a maximum towing capacity of up to 6,800 lbs. when configured for towing. While that is still excellent trailering power, it certainly falls short of what the Colorado can do, in large part due to engine options that are not as powerful. The Tacoma has a maximum payload of up to 1,440 lbs. when properly configured. Again, that means you can load up the back of this truck with plenty of gear, but just not quite as much as you can pile into the Colorado. The features available inside these two trucks depend a great deal on what trim level you are looking at. In order to keep things simple, let’s take a look at what’s available overall rather than going point for point across trim levels. So keep in mind you might have to choose certain upgrades or packages to get these features. The 2019 Chevy Colorado has an available 8-inch HD color touchscreen Infotainment system with Bluetooth audio streaming, voice recognition, and support for both Apple CarPlay and Android Auto. There are numerous USB ports, an available wireless charging pad, and available power adjustable seats. A heated, leather-wrapped steering wheel is included at some trim levels, and there is also a 4-inch color driver information display that has personalization options. By comparison, the 2019 Toyota Tacoma has an available 7-inch touchscreen display with a CD player, Bluetooth support, and hands-free phone functionality. There are numerous USB ports in the Tacoma as well, and an available wireless charger, and either cloth or leather-trimmed seats depending on your trim choice. The Tacoma has an available leather-trimmed steering wheel, 4-inch driver display, and other similar features. Whether you are interested in a pickup for personal use or as a work truck, nothing is as important as the safety of your vehicle. No flashy features or towing capacity matters if your truck cannot keep you safe. Both the 2019 Chevy Colorado and the Toyota Tacoma have a large suite of available safety features, but let’s see how they compare. The 2019 Chevy Colorado has StabiliTrack with stability and traction control, numerous airbags, and an available HD rear vision camera. You can get rear park assist, available forward collision alert, and there is an available lane departure warning that warns you if you start to drift. There is also a teen driver safety system on the Colorado that helps you teach new drivers safe habits by enabling or disabling certain features to reinforce good driving. The 2019 Toyota Tacoma also has a great suite of safety features including stability and traction control, along with numerous airbags and a rear vision camera. Other available features include blind spot monitor with rear cross traffic alert, rear parking assist, and pre-collision alert. There is no teen driver system in the Tacoma, however, which makes the Colorado a better choice for teaching new drivers. Pound for pound, point by point, when looking at the 2019 Chevy Colorado vs 2019 Toyota Tacoma, the Chevy emerges as the clear winner. While there are plenty of Toyota fans out there who will stick with their tried and true trucks, there are also going to be plenty of you persuaded by the numbers to check out something new. And when it comes to mid-size trucks, the 2019 Chevy Colorado is well worth a look. That is why we at Carl Black Nashville are so proud to offer the Colorado along with plenty of other cars and trucks. When you have vehicles at this level of quality, with features that simply can’t be beat, then there is no need for high-pressure tactics or tricks that some other dealerships rely on. Instead, we offer all of our customers respect, honesty, and the kind of personal attention that we think everyone deserves. So come to Carl Black Nashville and see the 2019 Chevy Colorado for yourself. If a mid-size truck is not right for you, that’s fine too – we have a wide selection of vehicles to check out and we pride ourselves on working with our customers to help them find just the right fit. 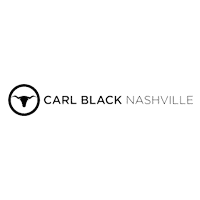 Come see what makes Carl Black Nashville different from other dealerships, then drive away happy in the perfect truck for you.